27-Ball decorative spiral rack is a unique addition to your store. 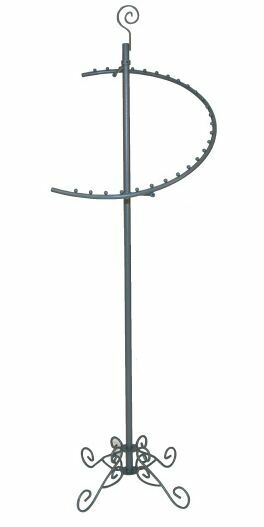 Dimensions: 68" tall including finial; 25" wide base. Weight: 19 lbs. Color: grey.